Tom Hiddleston aims to misbehave. Unless you’ve been living under a rock in Asgard – or frozen in suspended animation – you know the English actor is reprising his role as villainous Loki in the biggest super hero flick ever, The Avengers. Directed by Joss Whedon (who incidentally coined the “misbehave” line for Serenity), the new blockbuster pits four of the most iconic Marvel Comics heroes, along with help from three other well-known characters, against one god of mischief. Sure, Loki does get help from a few lackies, but in Hiddleston’s words, Avengers is a “solo villain” movie – and Hiddleston is more than ready to relish the fight. So who is the man who can take on the superpowered supergroup of his half-brother Thor, Captain America, Hulk and Iron Man, as well as Nick Fury, Black Widow and Hawkeye? Born in Westminster, England, the 31-year-old actor is known more for chewing scenery in theatrical productions and dramas than for chewing up (and spitting out?) comic book legends. 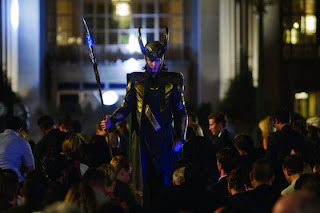 Still, after director and Shakespearean buff Kenneth Branagh hired him as fallen prince Loki in the 2011 sci-fi/fantasy flick Thor, Hiddleston showed he could transform a two-dimensional funny page antagonist into a believable, sympathetic and just plain menacing three-dimensional baddie. The Thor performance was enough to convince fanboy favorite Whedon – who also penned The Avengers – that Loki was enough to support an entire movie’s worth of conflict. Q: This is the second time you’re playing the god of mischief. What are the differences between working with Kenneth Branagh and now Joss Whedon? A: The thing about the two of them is they actually share more than you might at first imagine, weirdly. Joss is a huge Shakespeare buff, and Ken’s actually a closet comic book fanboy. True story. But also they both have a kind of pan-literacy about storytelling and mythology and literature and comics. They understand classic tropes of storytelling and narrative arcs. They are both immensely passionate people, and really good at leading; really good at inspiring actors. But everyone has a different artistic fingerprint and, of course, whatever that is – whatever that fingerprint is – it changes as you grow older anyway. Ken has a very classical warmth about him, I think. Thor is both warm and classical, in turn. Joss is really interested in comedy, as well, within a sci-fi context. He has this huge canvas where eight super heroes are teaming up to save the world and he’s brave enough to make it funny. Q: How does that affect your performance as Loki? A: He changes in that he’s definitively more menacing. A lot more. Loki, in Thor, is a lost prince and there’s a degree of vulnerability and confusion about his identity. In The Avengers, he knows exactly who he is. He’s fully self-possessed, and he’s here with a particular mission. 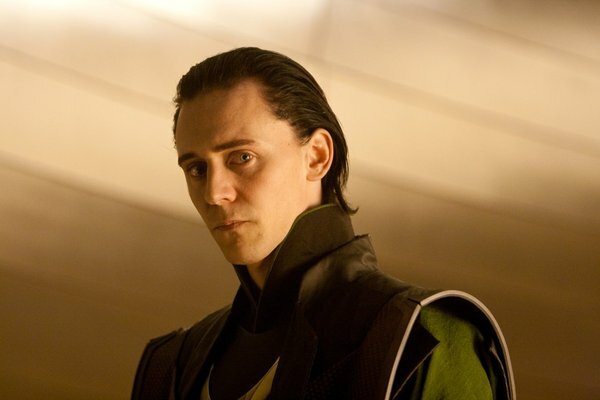 Q: Why does Loki need to take out vengeance on Earth? But that’s his reasoning. There’s also a motivation about him … To bring Hemsworth into it, there’s still a jealousy that Thor gets to have a kingdom … Thor gets a kingdom, Thor gets Asgard and Loki has nothing. So he’s going to come and make his own kingdom. Q: You mentioned Joss Whedon’s comedy. Do you get any comedy or are you all hellfire and brimstone. A: Literally a lot of hellfire and brimstone, but also Joss had two notes for me: One was “more feral,” and the other was “enjoy yourself.” I think there’s a kind of relish that Loki takes in just being who he is. I hope the audience will enjoy it as well. Q: You had some awesome physicality at the end of Thor. Will we see more of that in The Avengers? Q: And are you working alone or do you maybe have some cronies? A: There’s a lot of working alone and a little bit of support as well. Q: How do you handle taking on eight super heroes as only one bad guy? A: It’s all in a day’s work, man. [laughs]. There’s something about Loki that’s been expanded. He is an enormously powerful being. 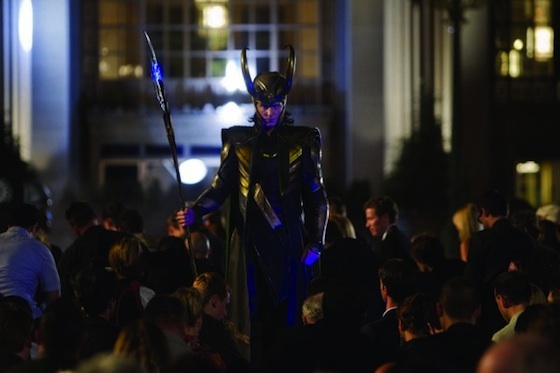 He’s the god of mischief, and between the end of Thor and the beginning of Avengers, he’s evolved. It is as if he’s been on three years’ worth of military training; like he knows a few extra things - tricks up his sleeve. It’s really fun. It’s hugely physically demanding for me because there’s a kind of lethal, yet sinewy strength he has. Sometimes it is about magic and sort of a supernatural power he has, and other times a raw physicality – which is just me and my body, day in, day out. Q: Either before or during shooting, did you and Chris [Hemsworth] discuss what interactions you’d have, or how you want to contrast it with what you did in the first movie – or did you purposefully try to separate yourself? A: We sat down with Joss individually, and then we talked about it together. But Joss had such good ideas that it was just sort of following his lead. Because it’s not a sequel to the Thor film – it’s a sequel to the Iron Man films and the Captain America film, as well – and his idea was just so smart. It is a huge compliment that Joss thought what I did in Thor was okay enough to warrant putting me in the next one. And I think Joss has soft spot for Loki; he kind of likes him as a character and thought he could take both Thor and Loki further down that path, and make the sibling rivalry a really interesting element of the clash of egos in The Avengers. Q: So there was no amiable critiquing between you and Chris … in terms of how you guys interacted without Joss? A: I’m so blessed to have such a great relationship with Chris as an actor. I remember our first scene together in The Avengers and Joss was like, “you really make each other better; that’s a really amazing thing to watch…” We just bring some extra baggage that’s good because we’ve played brothers for so long. It is not an intellectual thing. It’s like when you play tennis with someone and you’re just evenly matched. Q: Loki doesn’t traditionally have as cool of a signature weapon as some of the heroes, so what prop or weapon are you jealous of from The Avengers, and did you get to play with any of those? 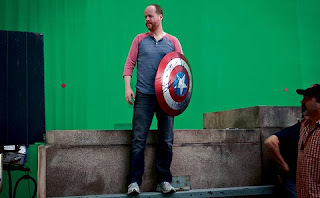 A: Those Avengers are very protective of their props. There was one day where I managed to slightly mischievously steal Captain America’s shield and Thor’s hammer. I was parading around the subterranean tunnel with the shield – and one of the producers saw me and was like, “What are you doing with those?” [laughs]. Also, because you know nobody can lift Thor’s hammer. But you know, I’m not particularly jealous of them, I wouldn’t say. I’ve got quite a good one in this. Q: You’ve got this team of super heroes, a super-friend group. Who would be your evil super friends? A: My evil super friends? From like, Marvel? Q: Anywhere: Literature, Marvel, movies. Put them together. A: My evil super friends. Um, that’s an amazing question. This is going to take me some time. 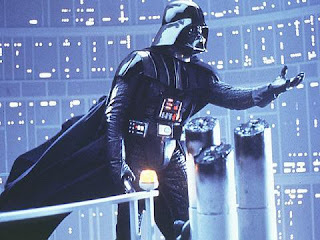 A little bit of help from Darth Vader if I might want to do this. Hans Gruber from Die Hard. Maybe Scar from The Lion King. Robert Patrick from Terminator 2 – the T-1000. Probably Schwarzenegger from Terminator one. A: Iago, absolutely. That’s a pretty awesome group of people. Q: I think you’ve given the Avengers a run for their money and probably better lines … What is that fun little toy you’re playing with in the trailer? A: It’s kind of an evolution of the staff that he played with at the end of “Thor.” But that’s Odin’s spear. At the end of “Thor” it’s Odin’s spear, but this is his own makeshift staff of destruction. Q: How versed were you in Marvel mythology before the movies? A: In England we have this game called Top Trumps, and it’s a really simple game for kids where you have them for racing cars or fighting planes. I had the Marvel super hero Top Trumps and you literally – each super hero is on each card with their vital statistics – and we’d split the deck. You’d have Thor and I’d have Loki, and you’d say, “height: 7-foot 2,” and I’d say, “seven foot,” which means you’d win Loki from me. So my acquaintance with Marvel super heroes came from the game. Q: Did you have a favorite? A: Galactus. He’s the Top Trump in super villains. Q: How deep into Norse mythology did you go? And how difficult is it to create a character based off a comic, based off a myth? A: In many ways I had to defer to canon, to Marvel. They already had a very clear take on the world they wanted to make. But I really sort of borrowed from both. In Marvel mythology, initial incarnations have him just cackling on the rooftops. He’s very much a two-dimensional villain. Really, it was only in the Norse myths, when I went back and read some of them how psychologically complex Loki seemed to be. He’s the god of lies, the god of deception. Every religion seems to have an agent of chaos. In Greek mythology, it’s Dionysus. In Roman mythology, it’s Bacchus. In Norse myths, it’s Loki and back in the day, many strange things were going down and people would go, “Loki’s around.” So I took the fraternal stuff, the family rivalries – which seemed really based in Norse mythology too … ultimately those stories are quite similar to other stories in all mythologies of different religions. He’s a kind of Lucifer, in a way. There’s an image of Loki who’s condemned eternally to the Underworld, and there’s a snake with a terrible poisonous venom – and Loki’s mouth is forced open – and it drips its venom into his mouth for eternity. The goddess of death, I think Hela, is trying to protect him from the venom with a bowl but she occasionally must empty the bowl, which means the snake’s venom goes into his mouth. 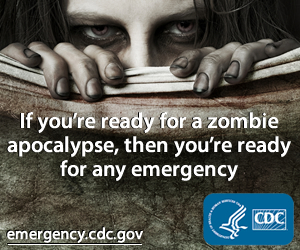 That seems to me to be a kind of archetypal image from any religion about damnation. You get your comeuppance in the end. Q: Can you talk about the camaraderie on the set? Did anyone say you’re a villain and keep you at arm’s length? A: No, they didn’t. All the Marvel films have a code name to keep things secret. Thor was called “Frost Bite” or something. 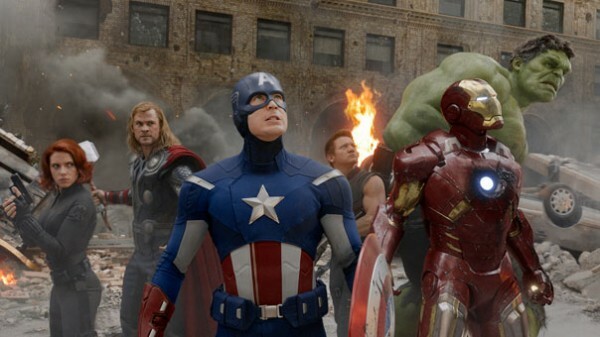 The Avengers code name was “Group Hug.” There was huge camaraderie on set. Probably because none of us could quite believe we were there making that film – in the beginning. Also, we were shooting in Albuquerque and Cleveland. Of course, nobody is from Albuquerque or Cleveland and no one has got anywhere else to go. So you finish up at work and it’s like, “Does anyone want to have a beer or something?” And we had some fun houses. Chris Hemsworth had a good tennis-table table. I have to say that Loki beats the crap out of both Thor and Captain America at table tennis. Q: Did you guys actually go out to bars? A: We did, yeah. We actually did. It was surreal and really fun. There was one night where Chris sent a round robin text message saying, “Avengers assemble!” We ended up at a bar in Albuquerque and it’s just the place where everyone goes to hang out on a Saturday night. What was quite interesting was your regular Albuquerque bargoer sort of looking around going, “Is that Jeremy Renner doing a lunge on the dance floor? I think it is.” Or like, “Why are Chris Hemsworth and Scarlett Johansson in this bar dancing together? I don’t know what’s going on.” But yeah, it was really fun. Q: Did Samuel L. Jackson go with the patch to the bar? A: No, he didn’t. He might not have been at that bar; he might have had a big round of golf the next morning. Q: What is Loki’s relationship with Stellan Skarsgard in this movie? A: This is where I can sense the dot forming on my forehead from the Marvel sniper in the corner of the roof over there. He’s got his eye on me ... He plays the same character in The Avengers, Erik Selvig, who is a scientist. He’s employed by SHIELD after his encounters with them in Thor to do some work with them. Q: How will The Avengers avoid the pitfalls of the multiple villain adventure? A: I wouldn’t really say there’s multiple villains. I would say it’s solo villain. It’s really like Loki. Loki is the bad guy; that doesn’t mean he doesn’t commandeer help. But everyone’s aware that you have eight super heroes. If you had eight villains as well in a two-hour picture, that’s a lot of people to care about and get behind. We don’t have that time … I think Joss’ great genius, in the way he put the film together, is that these guys don’t find it easy to share the space. It’s not an easily functioning team. You see a bit in the trailer of Steve Rogers and Tony Stark sort of bickering about “take the suit away, what are you?” I think a lot of the strength and uniqueness of the film comes in the fact there’s a lot of square peg/round hole fitting going on between them. A: Oh god, um … There’s so many. There’s one in the first scene that I’m trying to remember now. I’m playing it back in my mind … I don’t know if I can tell you because it’s a bit of a spoiler. Q: I think you can tell us. A: [laughs] Um … it’s connected to the one in the trailer, which is [in character of Loki]: “You were made to be ruled.” And I think that smacks of entitlement and arrogance – and a sort of menace, in way, that sums Loki up. There’s more where that came from!